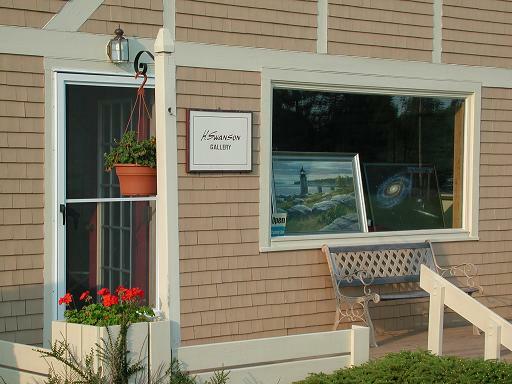 Quality paintings by artist Harry Swanson in a wide range of subject matter, with an emphasis on New England and the universe. Oils, watercolors and acrylics, in brush and palette knife. Special subject matter commissions are also available by request. The H Swanson Gallery and Studio is open seven days a week most of the year, and is located in Fairview, Tennessee off Route 100, only a short drive from Nashville, Tennessee. There are several rooms of exhibits, and a working studio. Over two hundred original fine art paintings may be viewed and purchased at our gallery location or by visiting the virtual paintings gallery online. Only original paintings are available since we do not offer prints or reproductions of our artwork. If you are from away and have traveled to Tennessee by air we can ship your painting back home for you. If you do not find what you are looking for in the gallery then let artist Harry Swanson create a unique fine art painting especially for you. Special subject matter commissions are available by request. For more information on custom paintings click here. 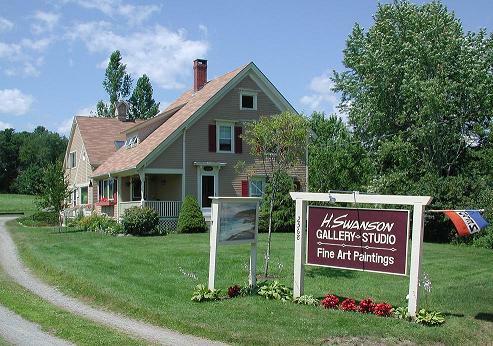 In 2011, the H Swanson Gallery relocated to Tennessee from the scenic mid coast of Maine after twenty years down east. Many of the paintings reflect the beauty of this region of the north east coast of the United States. If your do travel to Maine we invite you to tour the rugged ocean coastline, islands and mountains of historic New England by sail, by boat, on foot and by car. Visiting Bar Harbor and the scenic Acadia National Park are highly recommended and should be one of your vacation destinations. If you are planning a trip to the Nashville area, please stop by and visit us in nearby Fairview, Tennessee. Until then, we invite you to view the virtual paintings gallery. To begin your tour of the virtual paintings gallery please click here.